Groupon is offering an Sitewide Sale with Up to an extra 20% Off with code SALE3 at checkout. 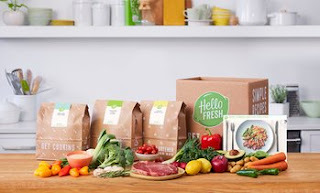 Love the HelloFresh - Recipes and Pre-Measured Ingredients to Cook At-Home for As Low As $24 (Retail $60). Don't forget Mom or Dad this Season!